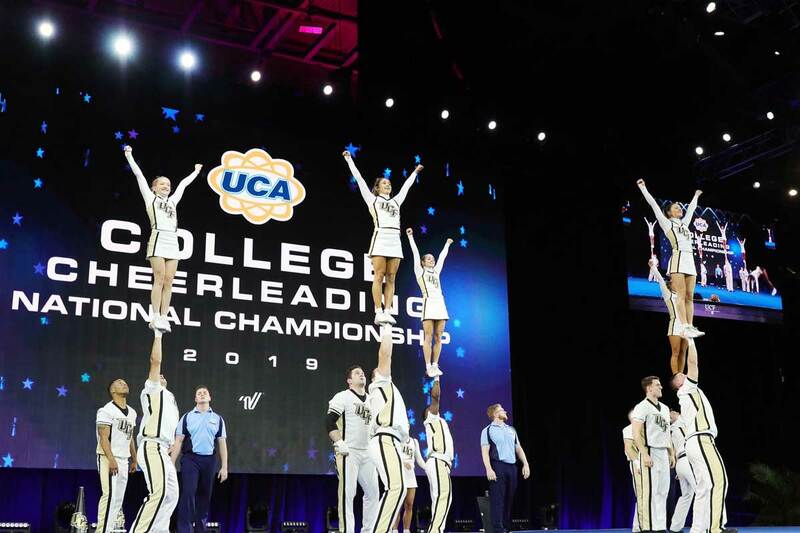 The UCF cheer team excelled at the UCA & UDA College Cheerleading and Dance Team National Championship held at ESPN's Wide World of Sports in Orlando from Jan. 18-20. 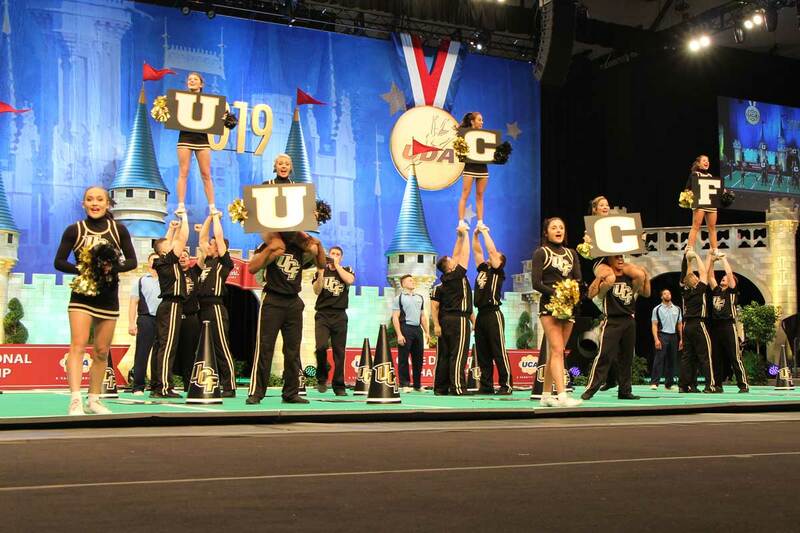 The Knights brought home first-place finishes in the Game Day and University World Cup championships and secured a top-10 finish in the UCA Division IA Championship competition. (Words by Jenna Marina Lee; Photos courtesy of UCF Athletics). 1The squad competed in three categories: Game Day Championship, UCA Division IA Championship and the University World Cup Championship. 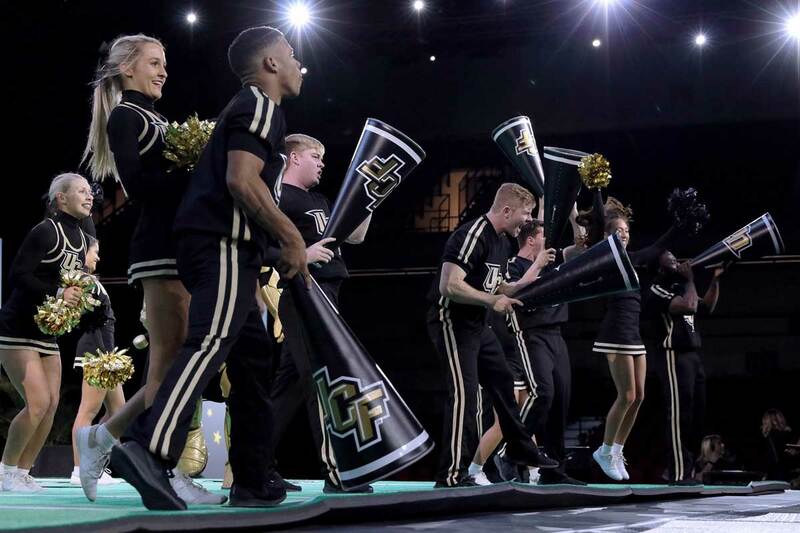 2UCF started off the weekend by competing in the Game Day Championship for the first time in program history and wowed the judges, earning first place. 4UCF also took home top honors in the World Cup Championship. 6The Knights finished the weekend by placing sixth in the UCA Division IA Championship. 7The program has now placed in the Top 10 24 times in the last 26 years under Gooch, including national titles in 2003 and 2007.